The Royal Ballet is coming to you, instead. This world-renowned dance company will be appearing in a movie theater near you three times over the next three months. 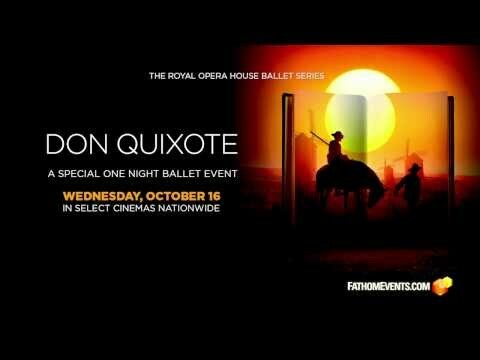 Thanks to the collaboration of NCM Fathom Events, Arts Alliance Media, Mr Wolf and the Royal Opera House, select cinemas throughout the United States will present the 2013 ‘Royal Opera House Ballet Series,’ featuring 3, one-night-only screenings. Featured in October, is the new Don Quixote staged by and starring Carlos Acosta, followed by Christopher Wheeldon’s Alice’s Adventures in Wonderland in November, and Peter Wright’s classic production of The Nutcracker in December. 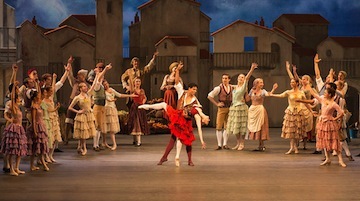 Carlos Acosta as Basilio and Marianela Nuñez as Kitri. © ROH / Johan Persson, 2013. Inspired by the adventures of Cervantes’ bumbling knight, Don Quixote tells the light-hearted tale of the vivacious Kitri (Marianela Nuñez), her sweetheart the poor young barber Basilio (Carlos Acosta), and their adventures as they endeavour to thwart Kitri’s father Lorenzo’s attempts to marry her off to the rich fop, Gamache. Sarah Lamb in The Royal Ballet production of Alice’s Adventures in Wonderland, choreographed by Christopher Wheeldon, to music by Joby Talbot, with set and costume designs by Bob Crowley. © ROH / Johan Persson, 2013. Pre-recorded earlier this year in April and featuring U.S. dancer Sarah Lamb, Alice encounters a cast of extraordinary characters down the rabbit hole, including the highly-strung Queen of Hearts, who performs a hilarious rendition of the famous Rose Adagio from “The Sleeping Beauty;” to dancing playing cards; a sinuous caterpillar and a tap-dancing Mad Hatter. There is a love narrative for Alice and the Knave of Hearts, and they dance a tender pas de deux at the close of Act II. But the ballet does not avoid the darker undercurrents of Lewis Carroll’s story – a nightmarish kitchen, an eerily disembodied Cheshire Cat and an unhinged tea party are all created in vivid detail. 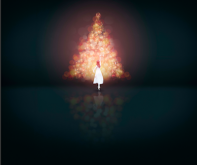 An essential part of Christmas for audiences of all ages, you are, of course, familiar with the story of The Nutcracker. 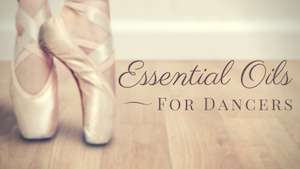 And as a dance audience, I know you’re familiar with several versions of the ballet. First seen at Covent Garden in 1984, this production by Peter Wright is particularly grand with elaborate costumes, a large cast, and one truly immense Christmas tree. Veteran Nutcracker audience-members may also appreciate Wright’s variation of Clara’s classic epilogue scene. According to a Fathom Events representative, high definition cameras are used to film the performances, which provide multiple points of view including close-ups and wide shots. A production truck from the The Royal Opera House will transmit the live feed via satellite using NCM Fathom’s Digital Broadcast Network to movie theaters specially equipped with state-of-the-art technology. Not all cinemas are equipped to participate, however, Fathom’s extensive network of theaters covers 173 Designated Market Areas® (including all of those in the top 50). Theater updates are made daily so if you don’t see a theater local to you just yet, join Fathom’s newsletter to stay-up-to-date on all of the newest additions. Since 2013 is nearing its end, I asked Fathom about future dance events. So far, no new plans for 2014 are ready to be announced, but check out the array of upcoming performing arts programming, including “The Met: Live in HD,” Broadway shows, concerts and more at fathomevents.com. We wish to disclose that Dance Advantage received compensation for the promotion of this series. I love this idea! You can see how ballets are performed and done in other countries. Plus, you get to see the ballet as though you are in the front row. That’s awesome! Thanks for sharing this post!